WASHINGTON — He won Best Picture and Best Director for “The French Connection” (1971) then proceeded to make arguably the scariest movie of all time with “The Exorcist” (1973). 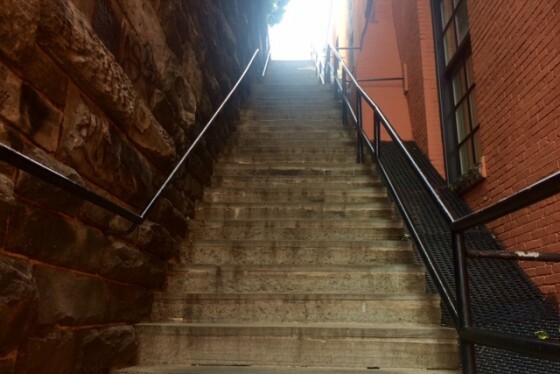 This Friday, Oct. 30, legendary director William Friedkin will join writer William Peter Blatty atop the infamous Exorcist Steps in Georgetown to commemorate the famous film locale with a plaque. The Dupont Festival event is free to the public from 4-6 p.m. at 3607 M St. NW, where fans are invited to bring memorabilia for the filmmakers to sign (limit one item per person). The official plaque commemoration will happen at 6 p.m. with Friedkin, Blatty, D.C. Mayor Muriel Bowser, Ward 2 Councilmember Jack Evans and Georgetown University President Jack DeGioia. It will be followed by a private screening of “The Exorcist” with Friedkin (invitation only). 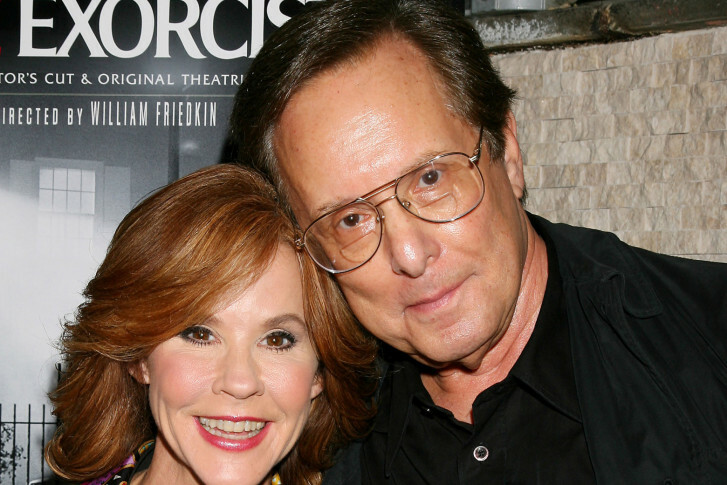 Friedkin says he used to have mixed feelings toward the Exorcist Steps and Exorcist House. Now, he loves the idea of The Steps as a D.C. landmark and understands why fans still flock there decades later to see the exact spot Father Karras (Jason Miller) plunged himself in a sacrificial act. Blatty, the son of a deeply Catholic mother, graduated from Jesuit school at Brooklyn Preparatory in 1946, before studying graduate-level literature at George Washington University and Georgetown University. There, he learned of a 1949 case involving a 14-year-old boy from Mount Rainier, Maryland, who underwent an exorcism in St. Louis, Missouri. Blatty now lives in Bethesda, Maryland. Thus, he penned the 1971 best-selling novel “The Exorcist,” which he then adapted into an Oscar-winning screenplay. It follows Regan MacNeil (Linda Blair), the 12-year-old daughter of a Hollywood actress (Ellen Burstyn), who visits Georgetown to shoot her next project. After a series of freaky occurrences, the possessed Regan is treated by two priests, the spiritually conflicted Father Karras (Jason Miller) and the world-traveling Father Merrin (Max von Sydow), to drive out the demon. The film was an instant hit, fueled by reports of moviegoers fainting and vomiting in the aisles. “The Exorcist” was not only the highest grossing movie of 1973, it remains the No. 9 grossing film of all time (adjusted for inflation). It also won two Academy Awards (Screenplay and Sound) among ten total nominations, including Best Picture and Director. How many horror films can claim that? The teenage Blair won a Golden Globe for her performance — with a demonic voice provided by Mercedes McCambridge — while three actors earned Oscar nods: Blair, Burstyn and Miller. In fact, Blair and Miller were rookies compared to Burstyn, who won Best Actress the following year for Martin Scorsese’s “Alice Doesn’t Live Here Anymore” (1974), and Von Sydow, a legend of Ingmar Bergman’s Swedish masterpieces from “The Seventh Seal” to “Wild Strawberries” (1957). While Blair turned Regan MacNeil into one of the American Film Institute’s Top 10 Villains of All Time, the physical Georgetown locations have become legendary characters in their own right. The first time we see both the house and the steps is an extreme wideshot of the Georgetown skyline, filmed with a long zoom lens from a hill in Rosslyn on the Virginia side of the Potomac River. Friedkin says he would have likely shot the Georgetown introduction differently today. Of all the iconic horror moments that occur in that house — the shaking bed, the crucifix masturbation, the 360-degree spinning head, the upside-down backwards stair descent, the levitation — Friedkin lists two lesser known, more intimate scenes as his personal favorites. He says the scene was simply shot, but powerfully conceived and acted. So what’s his other favorite scene? It says a lot about Friedkin’s sensibilities that these two intimate scenes are his favorites. In fact, it was Hitchcock who helped launch Friedkin’s career, landing a gig directing the final episode of “The Alfred Hitchcock Hour” (1962-65), the follow-up to “Alfred Hitchcock Presents” (1955-62). Friedkin was wearing a T-shirt at the time, but he sported a tuxedo the next time he saw Hitch. The DGA Award was just the start of the “French Connection” accolades. The crime drama was nominated for eight Oscars, winning five: Best Picture (Philip D’Antoni), Director (Friedkin), Actor (Gene Hackman), Editing (Gerald Greenberg) and Adapted Screenplay (Ernest Tidyman). The film is best known for its legendary chase scene, where Hackman’s obsessed cop Popeye Doyle drives beneath an elevated train, chasing the villain who’s on the speeding train above. While the chase sequence shows the power of the edit, the rest of the film boasts gritty handheld camera moves. The camera weaves in and out of subway cars via handheld camera operators under the watchful eye of Oscar-nominated cinematographer Owen Roizman. This was prior to the invention of the Steadicam, mind you, so these camera moves were achieved riding in wheelchairs. This gritty, cinema verite approach is reminiscent of the Neorealist style pioneered in Italy, where Friedkin just recently directed “Aida” for the Teatro Regio in Turin. While there, he spoke at the International Rome Film Festival. He returns next month to direct “Rigoletto” for the Florence Opera. But first comes the once-in-a-lifetime “Exorcist” event Friday here in Georgetown. Something tells us “The Exorcist” will make heads spin forever. @WTOPEnt Thanks to WTOP … you’re the TOP.